Hey beautiful! K, I seriously think Spring is close… aside from the minor snowfall we had a couple days ago, the weatherman swears that the warmer weather is finally arriving by the weekend. In preparation for Spring and the warmer weather, I’ll be chatting with you about my new beauty picks over the course of the next several weeks. With the heat and sun soon to be upon us, it certainly does a number to our hair and our skin (including our hands and feet!). Warmer months also calls for flawless makeup to fight the sweat. My Spring Beauty segment will include products for hair care, skin care, and nail care. This week, I start with hair care. A lot of people swear by the Moroccanoil Treatment product. I’ve never tried the treatment, but I did get a chance to try their line of hair products for fine hair. I’ve got really fine and straight hair but a lot of it. It’s always been a challenge styling and curling my hair as it goes limp and flat very quickly. 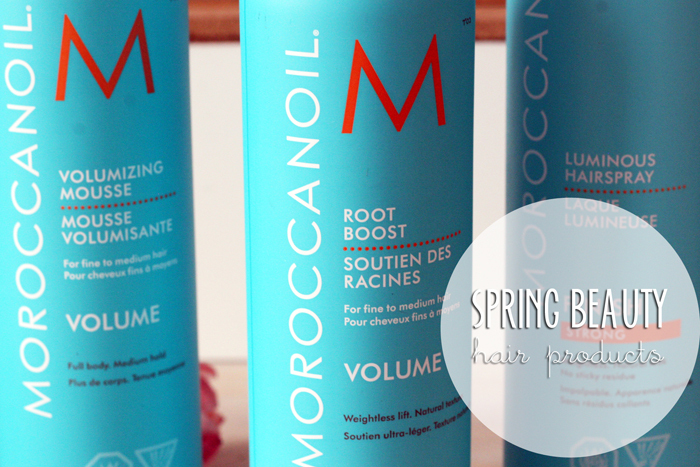 I particularly liked the Root Boost and Luminous Hairspray from Moroccanoil. I applied the Root Boost at the roots before styling with heat (i.e. blow drying), it instantly amplifies and thickens my roots, creating a ‘fuller’ mane. An added benefit to this product is that it also helps control static which is a big problem I have during dryer months. After I blew dry my hair, and curled it with a curling iron, I used the Luminous Spray by flipping over my head and spraying all around. The spray was long-lasting and also gave me a flexible hold, i.e. I was able to run my fingers through my hair without a sticky residue. 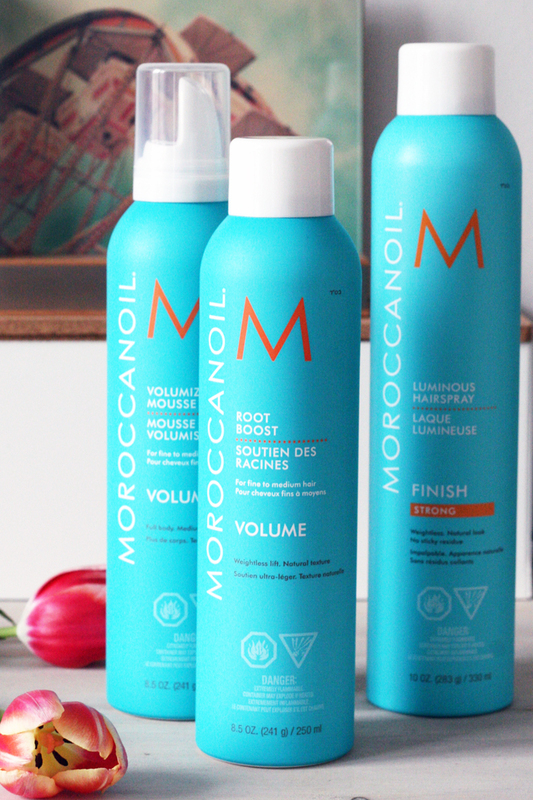 Moroccanoil is available online and across fine spas nationwide. When it comes to hair care, it starts with a good shampoo and conditioner. 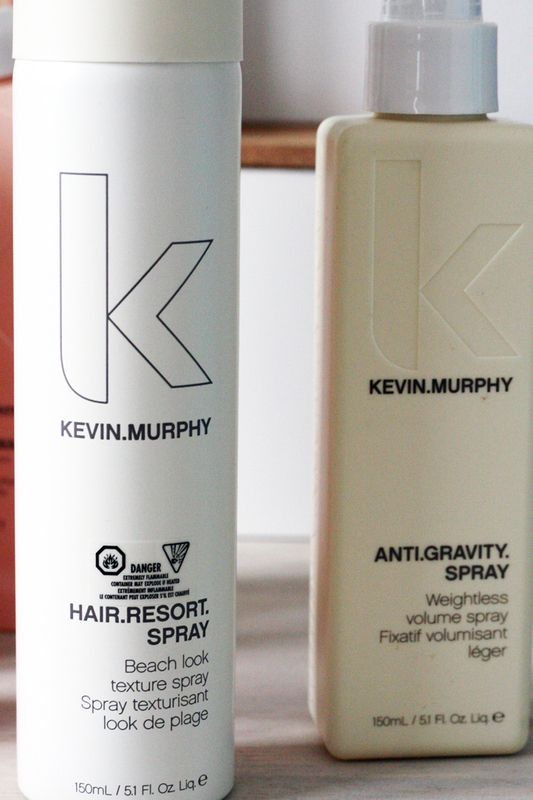 Kevin Murphy is a luxury brand offering an wide array of hair care products for any hair type. I was introduced to several of their products – Plumping.Wash for thinning hair (or in need of volume), Hair. Resort. Spray (my FAV) for a beach wave look, Anti.Gravity.Spray for a weightless volume look, Body.Mass, a leave in plumping treatment for thinning hair. I tried all their products mentioned above, even though I don’t have thinning hair – but I tested it from the perspective of volume. It was fantastic! I highly recommend for those of you have are battling with thinning hair to consider this product. My mom actually has this problem with age and I’ve given these products for her to try – I’ll report back to see what her experience is very soon. However, I do want to note ONE particular product I mentioned above that I really enjoyed – Hair. Resort. Spray. This product promises a “beach look”, which is something that I’ve been super envious of. Since my hair is fairly fine, it typically has very little texture. I applied the Hair. Resort. Spray to damp hair and crunched my hair all over with my hands then proceed with drying my hair with a blow dryer (you can also air dry). Once I dried my hair, I re-applied the spray all over and once again crunched my hair. The product worked really well and it really did give me a ‘beach look’. Check out my instagram photo for the result, give this a try! 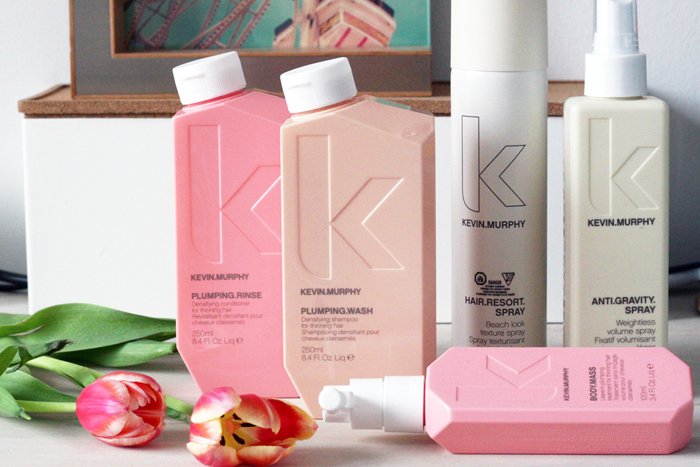 Kevin Murphy products can be purchased at salons nationwide, see locations here. Not so hard to believe, but our hair age similar to how our skin ages. By the 30’s (ahem… that’s me), hair has experience a decrease in sebum along with ongoing external damage, resulting in a lost of hair’s natural lustre. Thankfully, I haven’t experienced too much of that just yet. However, it is important to start the protection early. I was recently introduced to Live Clean‘s Age Resist Collection. Used as a stand alone product or as a full program, Age Resist is effective at addressing the specific problems and symptoms of aging hair; diminished density, changes in texture, dullness and lack of shine, increased dryness and breaking hair. Made up of avocado oil, rosehip extracts and anti-oxi fruit blend the line of shampoo, conditioner, multi-treatment and nutrition oil provides essential nutrients to hair and boosts overall vitality, appearance and health. I’ve started to use Age Resist Shampoo and accompanying Conditioner, I’ll have to wait several weeks to report back on results. 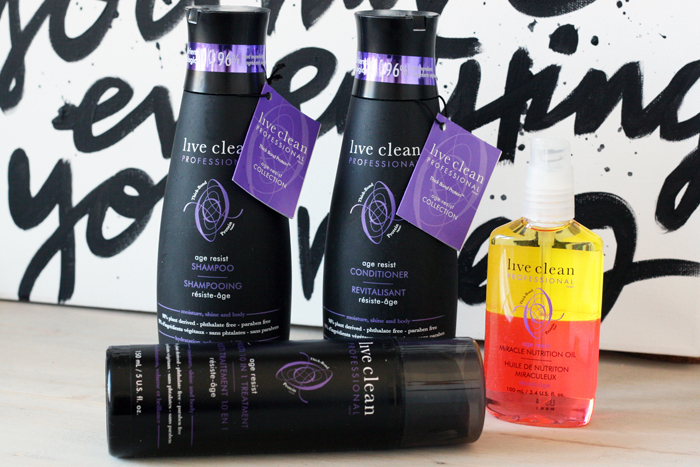 Live Clean products are widely available at Shoppers Drug Mart, Loblaws Superstore and Walmart. I’d love to hear about your hair routine. What are some of your favourite products and are there any that you’re hoping try but haven’t gotten around to it? Thanks for stopping by and enjoy the rest of your week and into the weekend!